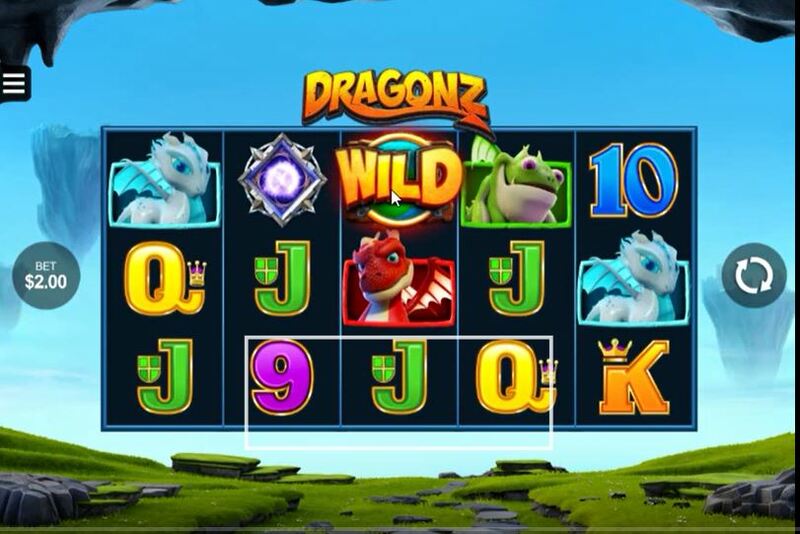 Dragonz slot a Microgaming 243way game with 5 reels and 3 rows. There are Wilds on all reels and the theme is pathetic-looking cartoon dragons of various hideous colours plus the standard card symbols. 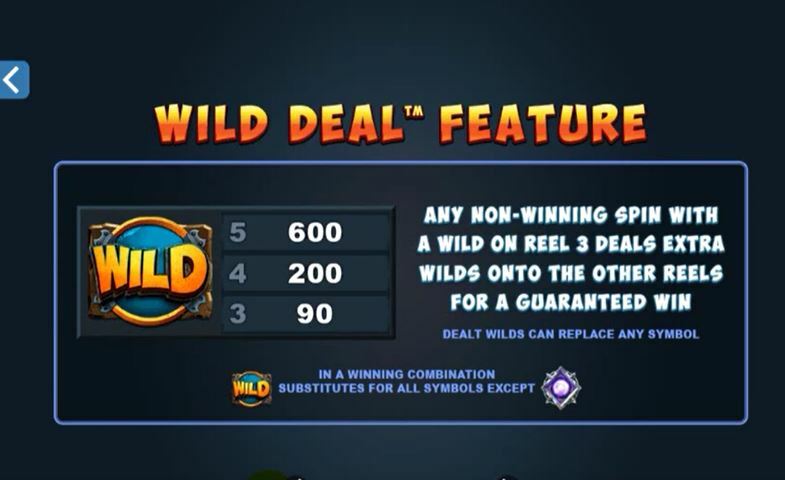 The first feature is the Wild Deal where if you get a Wild on reel 3 with no win one or more extra Wilds will be chucked on the reels for a guaranteed win. 3 or more scatters earns you 10 free spins each with a different benefit. 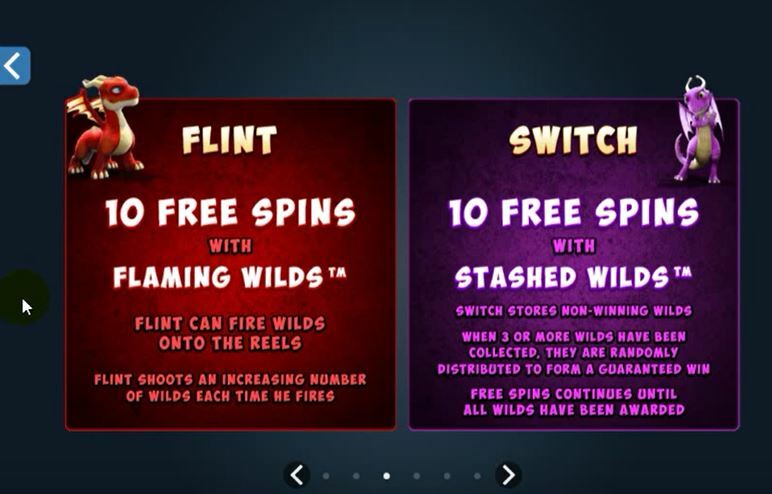 Flint may fire extra Wilds onto the screen if you don’t win on that spin. Switch saves Wilds not involved in a win and chucks them back when 3 or more have been collected. Frost makes unused Wilds sticky until a win occurs. 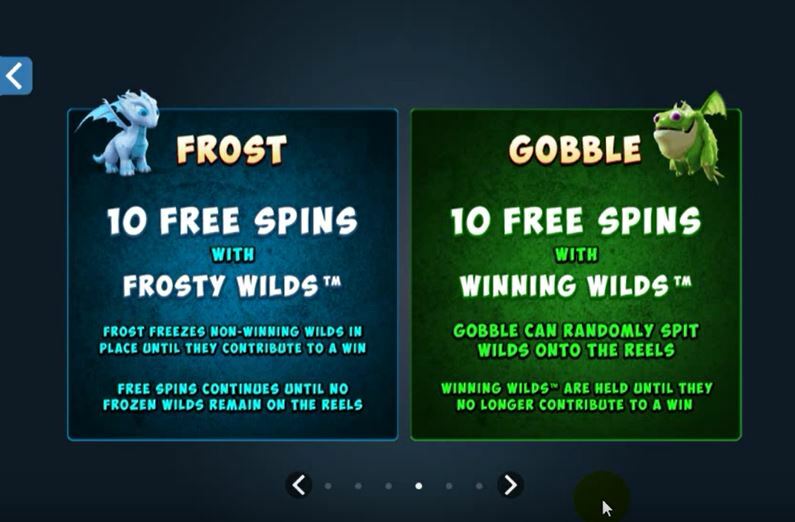 The unfortunately-named Gobble can spit Wilds onto the reels which are sticky until they no longer contribute to any wins. RTP is 96.05%.